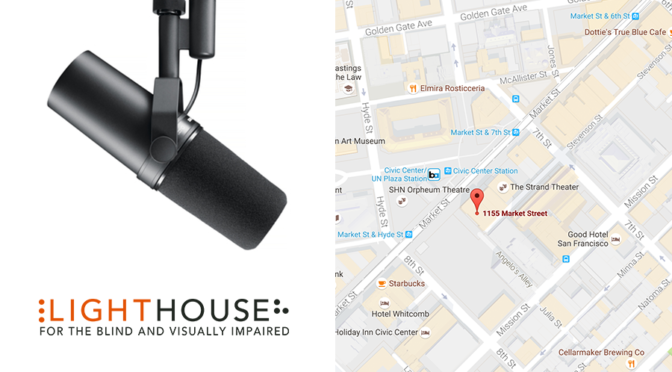 With expanded facilities, the LightHouse is proud to now offer a podcast and vocal performance studio, available for rental for one-time and recurring sessions. Our 40,000 square-foot headquarters at 1155 Market Street in downtown San Francisco is just 15 steps from the Civic Center BART and Muni Station, and affords ample workspace for vocal recording projects of all sizes. This includes individual voice actors, podcast and radio producers, audiobook professionals, as well as any individual looking for professional-grade voice recording. For shorter projects, our main studio, The Mike Cole Recording Studio, is rentable at standard rates (see below). Those who would like to book an entire day (9 a.m to 5 p.m.) may do so for a flat fee. We also have smaller rooms available at lower rates for those with their own equipment who simply need an acoustically-isolated space. Our rates are subject to change based on the size, scope, and frequency of the session. 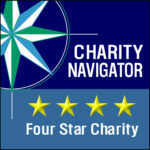 We are a nonprofit organization and are happy to provide low rates to those who help promote our mission to celebrate and support the blindness community. All clients must bring their own engineer or demonstrate a basic DAW competency before accessing the LightHouse’s studio facilities. The studio runs through a USB interface which can connect driverless to the in-room Mac or a laptop. Our studio has 4 Shure SM7B vocal microphones, mounted into a table that can seat 4-5 comfortably. There is a Shoretel digital phone line in-studio, but no IDSN. To book a session, email csterne@lighthouse-sf.org or call 415-694-7306.